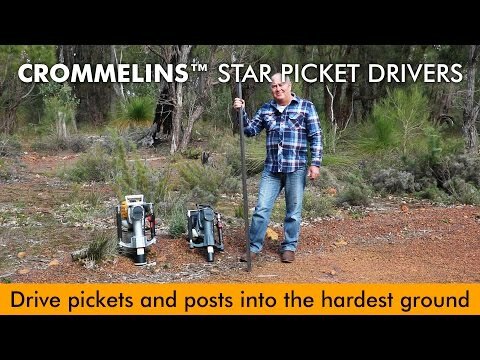 Fencing or Post Driving has never been easier with this new Crommelins Star Picket Post Driver. 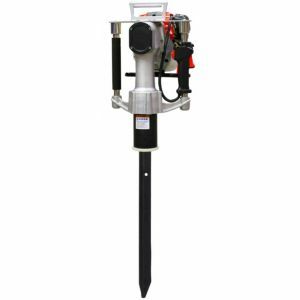 These machines will effortlessly and efficiently hammer star pickets and posts into the ground. 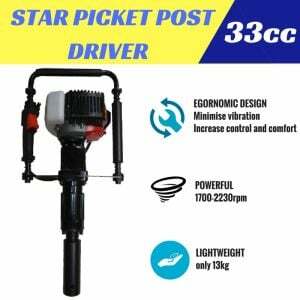 Built to be lightweight, they both have versitile sleeves to allow for easy operation with different sized Star (Y) Pickets, Timber Stakes and even Super-Star Pickets. 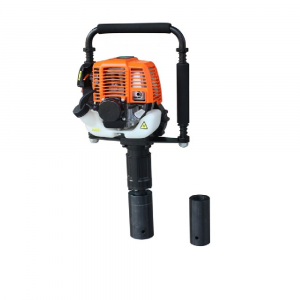 Driven by the powerful SUBARU or GENUINE HONDA, 4-Stroke 35cc engine, this Post Driver efficiently delivers the most powerful and quiet performance that you would expect from a large engine - but in a very compact design. • Anti-vibration handles for minimising vibiration to the operator. ** Please note from time to time we may offer the Honda engine at the same cost, subject to availability. Established in 1958, CROMMELINS Machinery is well recognised in the Mining, Agricultural, Construction and Hire industries as a trusted brand with quality and reliable equipment. CROMMELINS Machinery is also Australia's national distributor of SUBARU engines, pumps and generators, from the makers of the award-wining SUBARU cars.